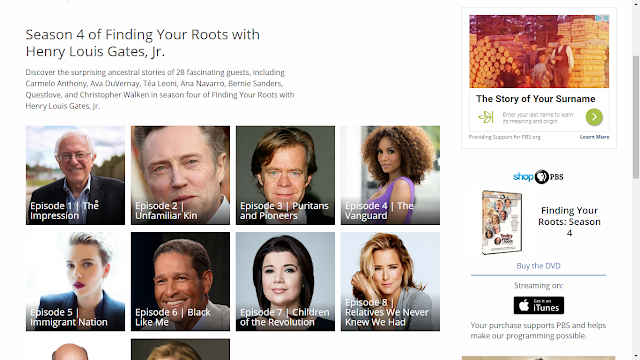 I missed last night's final episode of Finding Your Roots with Henry Louis Gates, Jr. on PBS because I was TreeSharing my RootsMagic family tree with my Ancestry Member Tree and having a great old time. When I checked Facebook an hour later, I saw that I had missed it. Oh well. 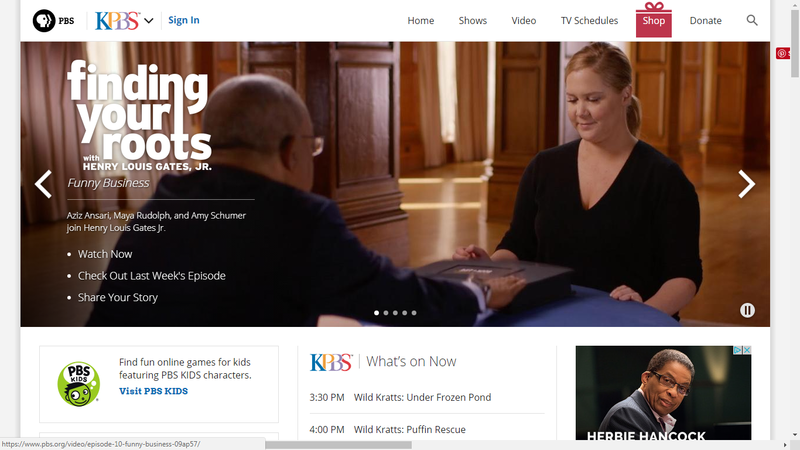 But wait - the PBS website has all of the episodes and you can watch them at your leisure, at least until they delete, or unlink, them. So I watched Episode 10 today. This episode was called "Funny Business" because it featured Aziz Ansari, Maya Rudolph and Amy Schumer. The highlight for me was at the very end - when Schumer turned the page to see that her cousin was the host, according to a DNA test. I find each of the stories interesting because almost every one of them go back in time to places that I am unfamiliar with, and the records they find are uncommon and fascinating. Enjoy the show. Don't wait too long, though. Now I wonder if anyone has ever binge-watched a whole season of these shows? I'm the binge watcher. I caught one episode of Season 3 being replayed and fell in love. I watched the entire season in 3 days. Then I donated to PBS, got my passport login and binged Season 1 and Season 2. I know the show does some narratives and edits for time but it is so accessible for the average person that I've been able to inspire so many people just from a single episode.